Three Years of Off Grid Ham. Chris Warren August 22, 2018 August 22, 2018 18 Comments on Three Years of Off Grid Ham. How Much Battery Do You Really Need? Chris Warren August 12, 2018 August 12, 2018 8 Comments on How Much Battery Do You Really Need? Utility Radio Monitoring for the Off Grid Ham. Chris Warren July 29, 2018 July 29, 2018 5 Comments on Utility Radio Monitoring for the Off Grid Ham. Product Discussion: AS Tool MC4 Crimper. Chris Warren June 27, 2018 June 27, 2018 4 Comments on Product Discussion: AS Tool MC4 Crimper. Series & Parallel Wiring Your Solar Array. Chris Warren June 14, 2018 June 16, 2018 7 Comments on Series & Parallel Wiring Your Solar Array. Field Day 2018: Give Them A Reason To Care. Chris Warren June 4, 2018 June 4, 2018 6 Comments on Field Day 2018: Give Them A Reason To Care. Portable Off Grid Ham Radio: The Basics. 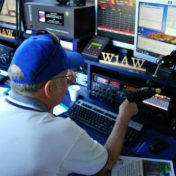 Chris Warren May 20, 2018 May 20, 2018 7 Comments on Portable Off Grid Ham Radio: The Basics. Off Grid Ham Will Be In Wheaton, Illinois June 17. Chris Warren May 17, 2018 May 17, 2018 4 Comments on Off Grid Ham Will Be In Wheaton, Illinois June 17. 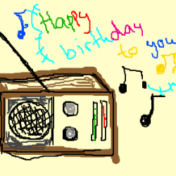 NFPA-70 (The National Electrical Code) And The Radio Amateur. 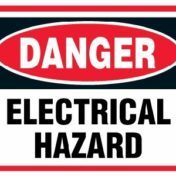 Chris Warren April 22, 2018 April 22, 2018 4 Comments on NFPA-70 (The National Electrical Code) And The Radio Amateur.